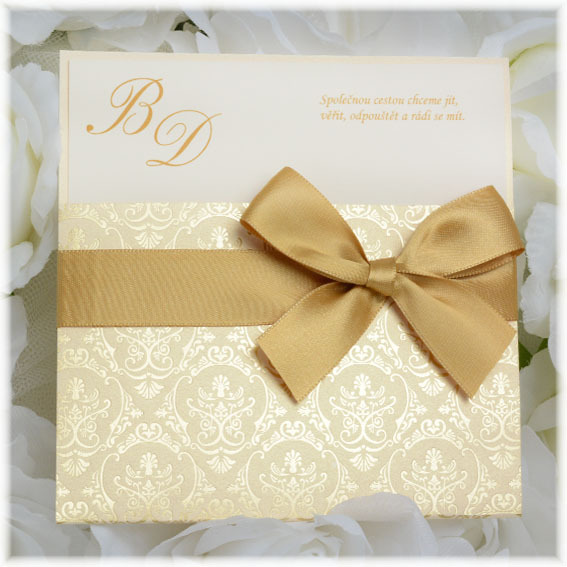 Luxury wedding invitation. 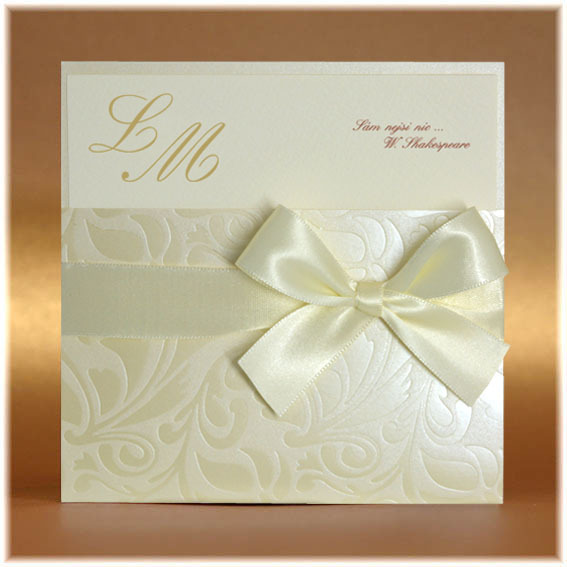 Embossed pocket with pearl cream foil. 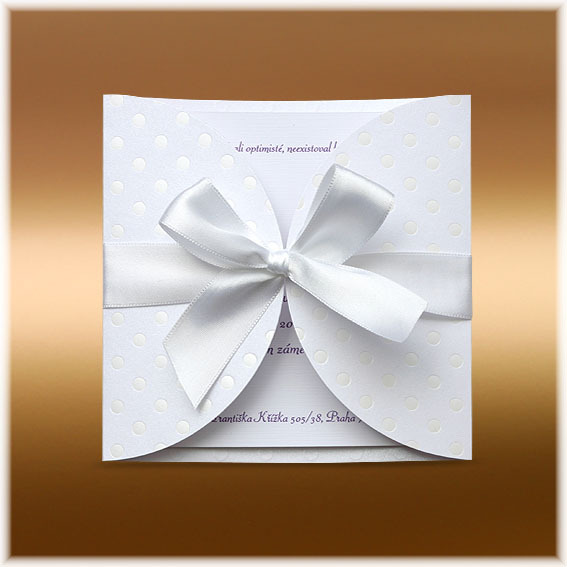 Paper on pocket is pearl creamy binded by creamy ribbon. 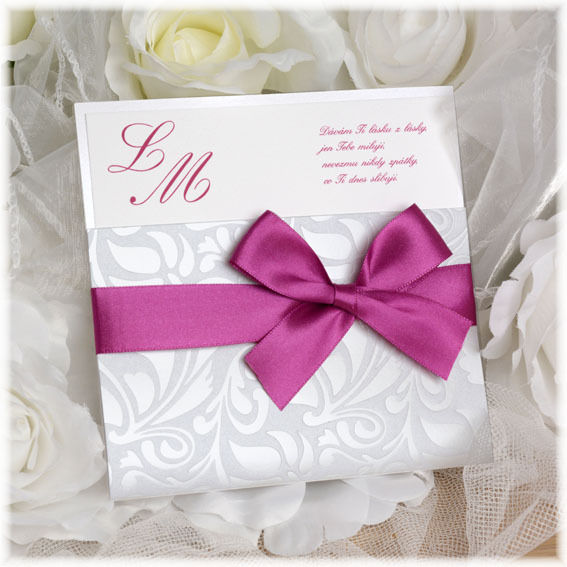 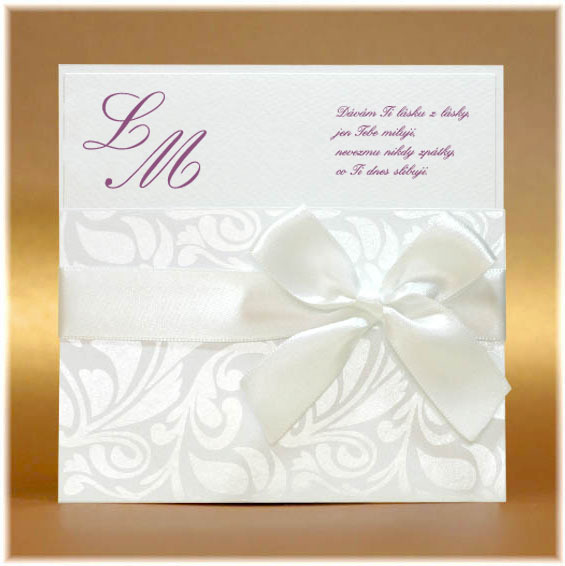 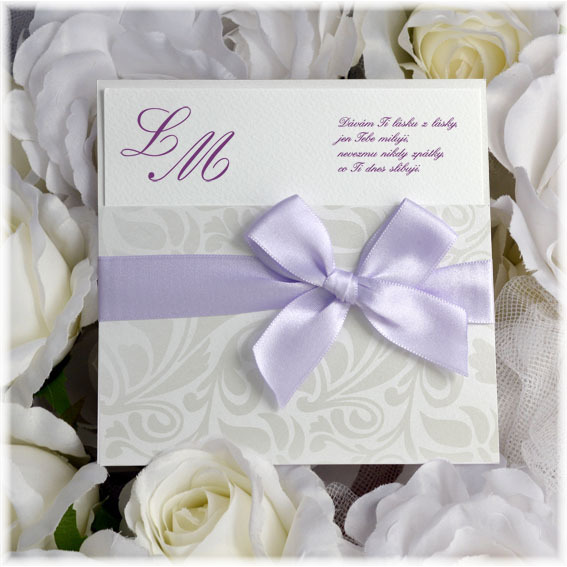 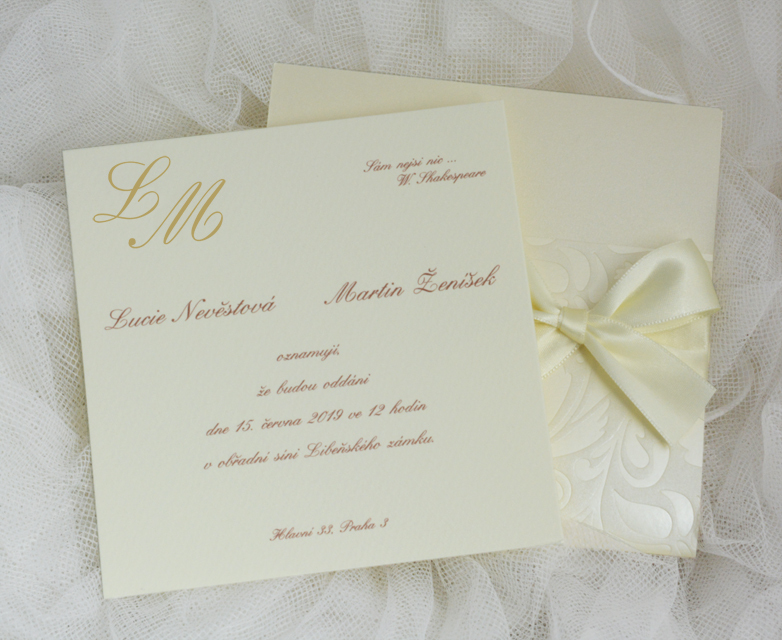 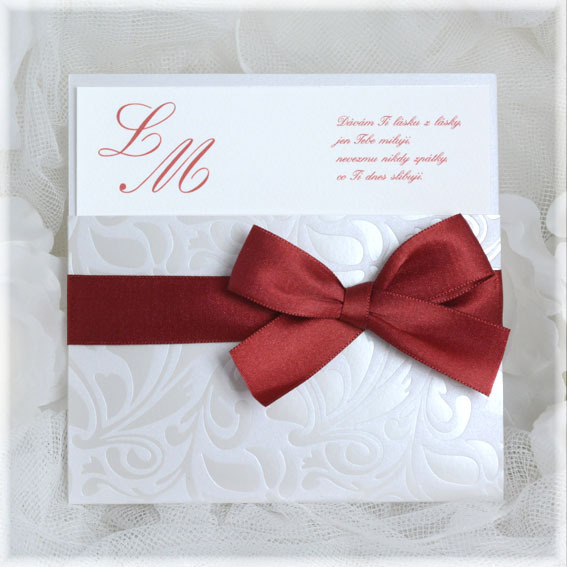 We print these wedding invitations also in white.